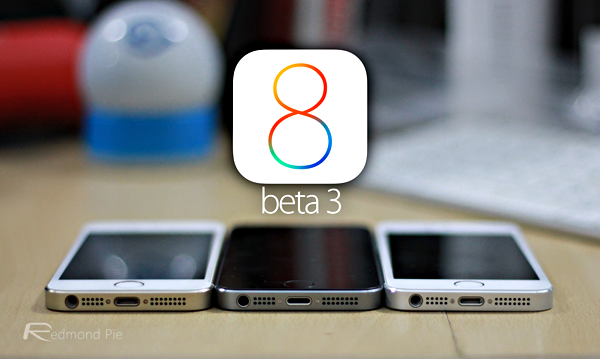 iOS 8 beta 3 download is now live. The new beta 3 includes the usual spate of bug fixes and general performance enhancements. There are one or two new features to boot, and we’ll surely discover a few more as we become better acquainted with this new release in the coming hours. The official changelog, as well as the details on how you can get your hands on this latest build, can be found after the break! Announced at WWDC, iOS 8 is shaping up as one of the most significant updates to the Apple mobile software that we’ve seen since the original iPhone. Not only has the Cupertino company packed in an abundance of new and exciting features, but it has also taken the unprecedented step of opening up various aspects of the ecosystem to third-party developers. Not so long ago, Tim Cook mentioned that his company would consider such a move – that being to open up certain elements of the closed-source software – provided it didn’t hinder the functionality and overall user experience to the end user. In the run-up to the keynote speech back in early June, we had little idea that third-party keyboards and widgets would be a part of the deal, and given how Siri will also be better integrated with non-Apple apps, users can expect a more well-rounded, customizable experience moving forward. Today, the third beta of iOS 8 has landed, and although it’s not a major step-up from the last installment, it does immediately feel smoother than iOS 8 beta 2. In short, if you’re on beta 2 already, it’s best to go ahead and update to beta 3 to stay up to date with changes which Apple has made under-the-hood to provide an improved experience to users. If you’re looking to try out iOS 8 beta 3, you will firstly need to be a member of Apple’s Developers Program, which costs $99 per year. You will also need a compatible device, and as ever, we’d encourage that you utilize a spare iPhone or iPad, rather than one that you consider to be your daily driver. 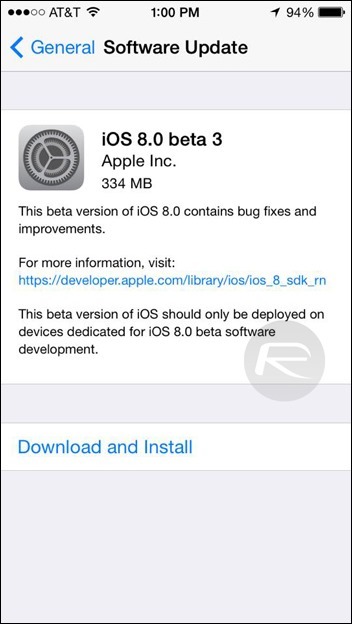 A link to the guide for installing iOS 8 beta 3 can be found below, and if you do happen to grab this new release, be sure to let us know if you find anything intriguing by dropping a comment via the usual channels.